RVA Rapid Transit believes that regional transit is key to creating a thriving and inter-connected region where citizens can access greater opportunities, such as employment, workforce development, commerce, higher education, nutritious food, routine health care, and much more. A high-quality regional transit system is not only crucial to increasing human capital; it is key to attracting economic development and investment opportunities, a talented workforce, and is associated with increased property values. 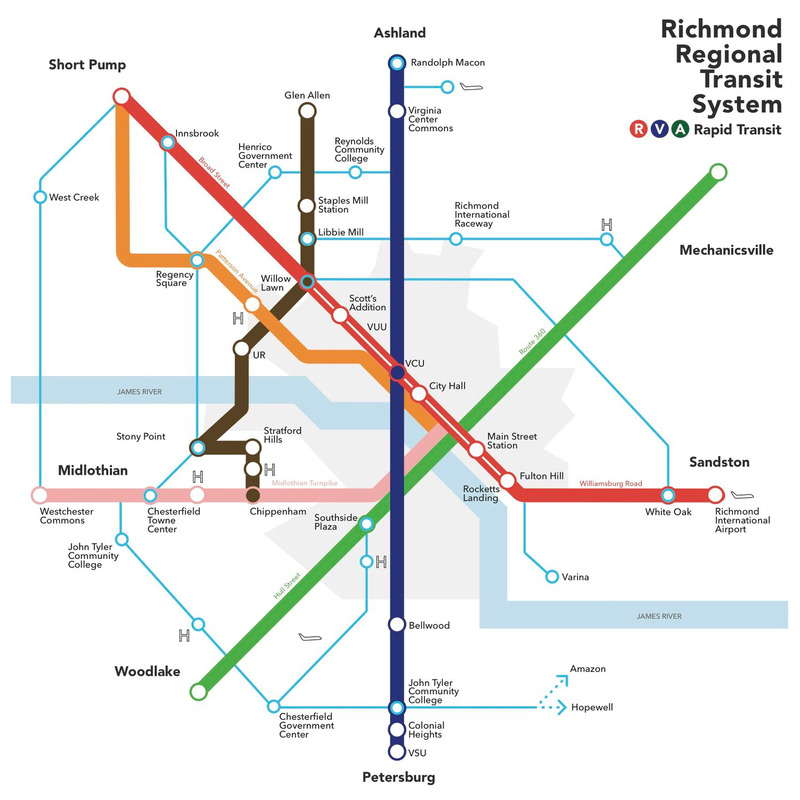 RVA Rapid Transit uses education, organizing, and advocacy to encourage additional investment in a high-quality, frequent, and far-reaching regional transit system. For the purposes of this plan we define the Richmond region as including the localities dictated by the Greater RVA Transit Vision Plan. Mission Statement RVA Rapid Transit advocates for frequent and far-reaching transit in the Richmond region.